The purpose of any green cleaning program is to lessen the impact of cleaners on people and the environment. Using all-natural green cleaning products keeps harmful chemicals out of the air we breathe and out of our rivers and streams, where it can cause ecological damage for years. Indoor air quality is rated worse than outdoor air quality. The U.S. Environmental Protection Agency rates indoor air quality as one of the Top 5 health risks to Americans, saying indoor air is 3 to 5 times as harmful as outdoor air. Our intention is to help you by using effective Green Seal Certified cleaning products to greatly reduce health problems and related costs. Our low moisture carpet and upholstery cleaning equipment is the best and safest- with no risk of causing mould or other related health issues. 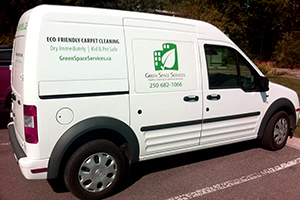 We offer large scale carpet cleaning for hotels & restaurants, property managers, schools & daycares, commercial offices, as well as hard-floor surface maintenance and full janitorial services.